Book Review, Kristin Lavransdatter trilogy. 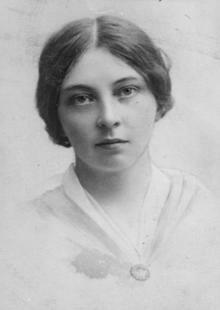 I have just finished The Cross, the last of the Kristen Lavransdatter trilogy by the award winning author Sigrid Undset. I think the kudos for a beautifully rendered translation goes to Tina Nunnally. When I blogged about books that are true and therefore speak to us in harmony with natural law, I was still reading Unset. She shows a profound grasp of human life, love and struggle. She writes from the viewpoint and soul of Kristen as a child, young girl in love, wife and mother of seven sons and mistress of a great house to her old age and the final realisation of her life and struggle, brought about by a sudden opportunity to make an astonishing act of mercy. Undset’s deep understanding of human nature and the consequences of choices and actions make all the characters of the book very real and believable. Kristen’s relationship with her saintly father Lavrans and the more difficult relationship with her mother is drawn sympathetically while avoiding saccharine and vinegar in her description of Kristin’s parents. While the story is placed in fourteenth century Norway, it has a timeless quality to it, most probably because of the depth of the characters and the fact that human nature has changed little, if at all. 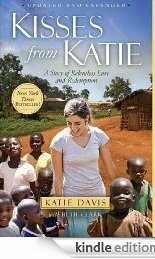 I love the complexity of Kristin’s life, love and faith. She commits some truly awful sins, and has to wrestle with her conscience, pride and guilt over them. 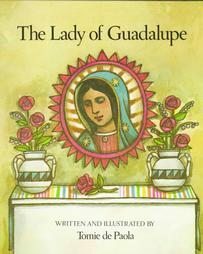 L ife is way too short to spend reading what Miss Charlotte would call “twaddle” and too short indeed to read trash, so why not make every moment count by reading something good for the heart, mind and soul. This trilogy is it. A more eloquent review is here: Under Her Heart: Motherhood in Kristen Lavransdatter. This set of books will be read again (I hope) by me. Posted in books, what do I have on my Kindle? Just saw this on the lists. I know a few families over the years who have attempted flexi-schooling but have had a less than positive reaction from heads of schools. This looks like a very good step forward. ‘Flexible Futures – Progressive Education’. 2nd November 2012, Britannia Hotel, Coventry. year in all areas of support, advocacy and promotion for flexischooling. Flexi-Mark and a National Flexischool Network registration scheme. We hope as many of you as possible can join us. A National Flexischooling Conference: ‘Flexible Futures – Progressive Education’. Speakers include head teachers from three schools offering flexischooling, Dr Paul Kelly, Graham Stuart MP, and many more. to come to the conference dinner on the evening before the main event. Book by Monday 8th October to secure your place. schools can claim full funding for students who are flexischooled. tools to develop their own. key policy makers who are helping to drive flexischooling forward. flexischooling as a viable alternative to traditional learning. advantages for ‘special needs’ and ‘gifted’ learners. fullest potential whilst minimising the impact on school routine. We look forward to seeing you at our conference. Unto the third and fourth generation; what are we doing to our children and grandchildren? In the UK now something like 1 in 10 children are dx with a mental illness of some kind. The problem for what is labeled generation Y, is so great some have suggested it has reached beyond crisis to a state of emergency. The figures are pretty stark even if you take into consideration the shocking over dx and overuse of prescription medication for children. These are the children of my generation. Those of us born in the early to mid sixties are the first of Generation X coming after the baby boomers, who are now in their late 60s and 70s. There’s a separate but linked issue with the dx of ADHD and ADD which I might look at later but not in this post. The comments expand on the article pointing out that it wasn’t just the hippies seeking “free love” who turned away from real love, plenty of otherwise descent respectable folk did the same. I have been surrounded by so many people of about my age who were either abused, neglected or basically ignored by their parents. Even in families that on the surface looked in tact and functioning I have heard stories of confusion, distant relationships and deep loneliness from the now adult children. Most of these people (myself included) never saw a baby, and so when we had our own. we were left to struggle and work out by ourselves how to deal with having children of our own. For so many of my generation the only guide was “I wont do it like my parents.” But as my generation have bought into the idea that what adults want is way more important than what children need, the lovelessness goes on. Adults have been so stunted they have no idea how to maintain loving relationships with one another, and can’t face the demands of dependant children. Even otherwise good parents will allow their children to behave in self destructive ways simply because they don’t know how to stop them. There has to be a solution as we face the curse of the grandparents visiting the third and even fourth generation. And there is. In the cultural desert, hard working and genuinely loving people have set up little oasis of hope. One comment under the article is from a man who teaches Bl. Pope John Paul II’s Theology of the Body to teens. He says they are enthusiastically taking it up. They know they have to shun the sexual example having suffered the results themselves. The knowledge and willingness of couple,s of many Christian couples – not just Catholics – to embrace an open to life marriage, using NFP when serious reasons require it, is spreading like wild fire. More and more women in particular are sick of the damage to health, particularly breast cancer, to marriage and the water supply done by contraception and they are turning back to natural methods that respect women’s bodies and the family unit. There’s a growing number of mothers who are practicing what has been termed “attachment parenting”. Now, the pendulum can, and always does, swing too far the other way. The media doesn’t help. I have rarely seen a TV programme about normal attachment parenting, it’s always the extreme end, with as weird as possible families. Ignoring the mainstream media, (something I highly recommend), there are plenty of stories out there of families who are finding a better life by conforming to the natural law and especially in treating women as wives and mothers with the respect due their human dignity and role. Don’t touch the light switch! 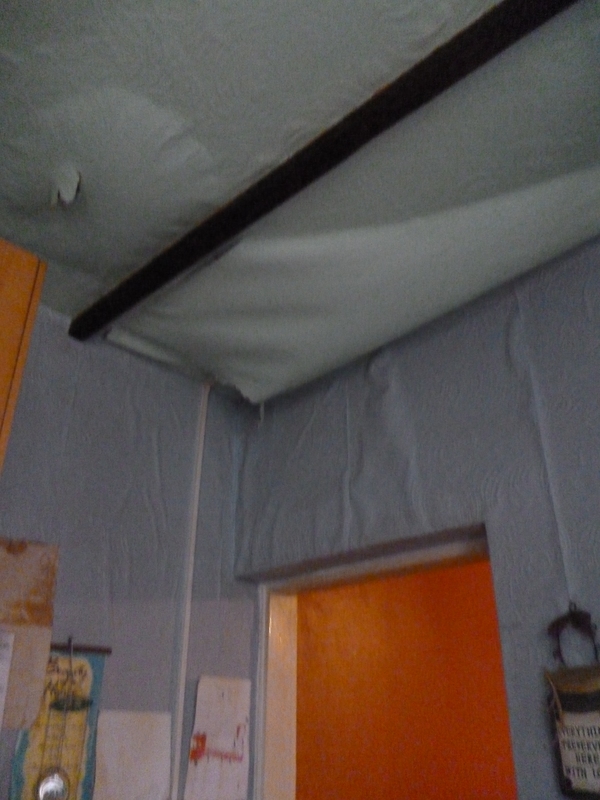 It was around 6ish this morning (I think) when Josh knocked on the door and announced that water was pouring through the kitchen ceiling, down the lightswitch and down the walls. So Al had the task of getting the flood stopped and the leak fixed before he went to work. I’ve never seen a man enjoy himself so much! Josh was quick thinking and had put a large crate under the leak and it was rapidly filling with greenish water (must be copper pipes). The light switch was still dripping water even this evening so the children are barred from touching it. Al went off to Wicks at half eight, which was a special treat as he usually only gets to go there at weekends and holidays. He loves shopping there, the way those shopaholic women like department stores. Fortunately for us, Al’s love of Wicks does us more good as a family than if he was into department stores. Long before mid morning he had fixed the leak and the watcher had stopped pouring through the kitchen ceiling. It was Alex who had the pleasure of bursting the great blister in the ceiling paper to release its burden of green water. 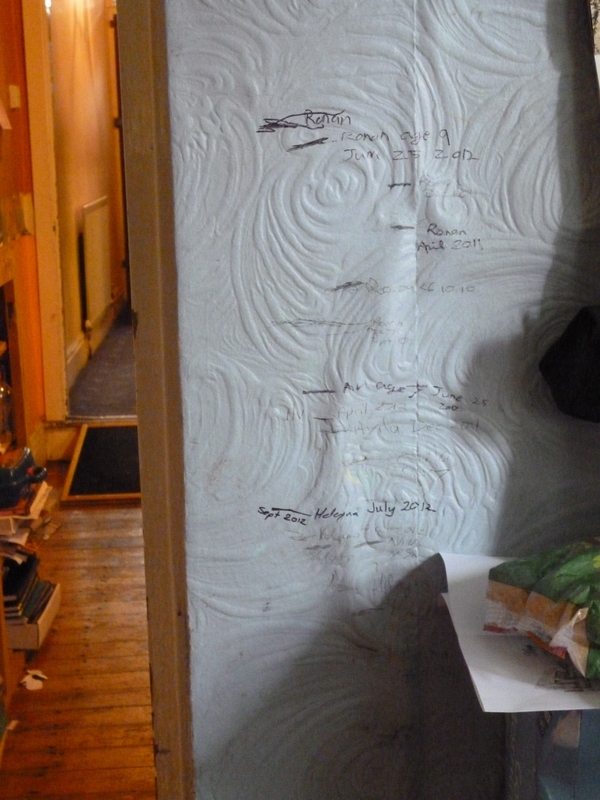 There’s a lot of drying out to be done and I am not so sure my child height measuring graffiti is accurate now the paper has slipped, but all is well, and no one has been electricuted. 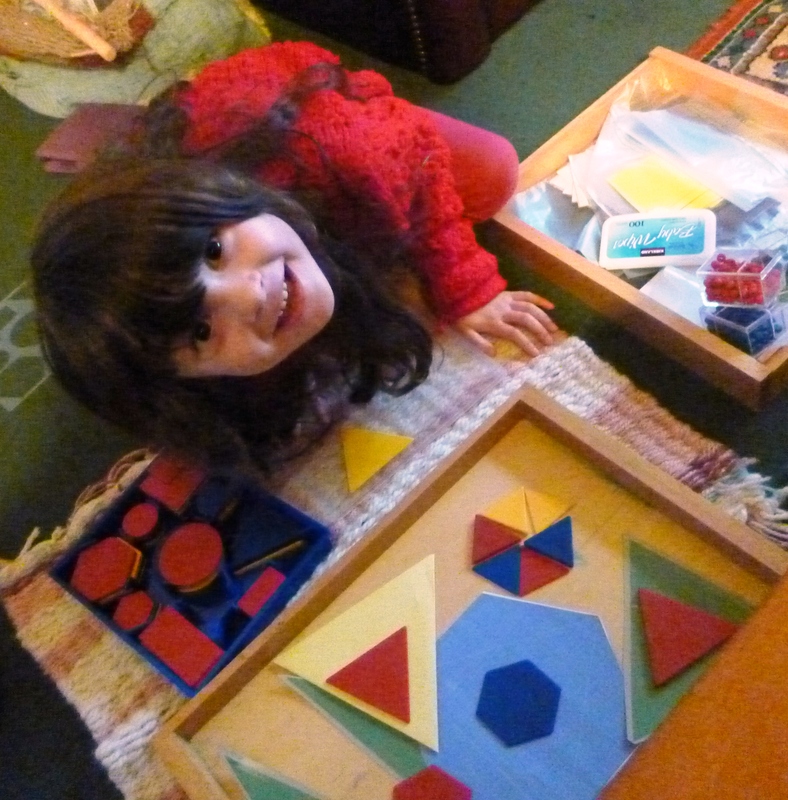 The way Dr. Montessori approaches geometry and spacial awareness with children fascinates me. The basic tower whether you have the pink one or the natural one like ours, is nowhere near as simple as I had thought it would be. The reason I decided to go down the Montessori route was because Heleyna showed such a strong kinesthetic learning style. Since the first lot of items have arrived however, it has become clear that it isn’t just Heleyna who needs to learn with some hands on work. All three of the younger ones are using the equipment and Ronan has found it useful when working through Life of Fred Honey. There are a number of exercises with the Pink Tower and eventually I want to get the brown stair for the extensions. The adult should begin with presenting the item to the child and demonstrating a way to use it. I have done this by making the exercises as pink squares on paper (pink squares from Helpful Garden). I found copying the exercises quite difficult at times (FMS causes vis/spacial problems anyway). Heleyna is slowly learning to see the patterns and repeat them with the blocks. 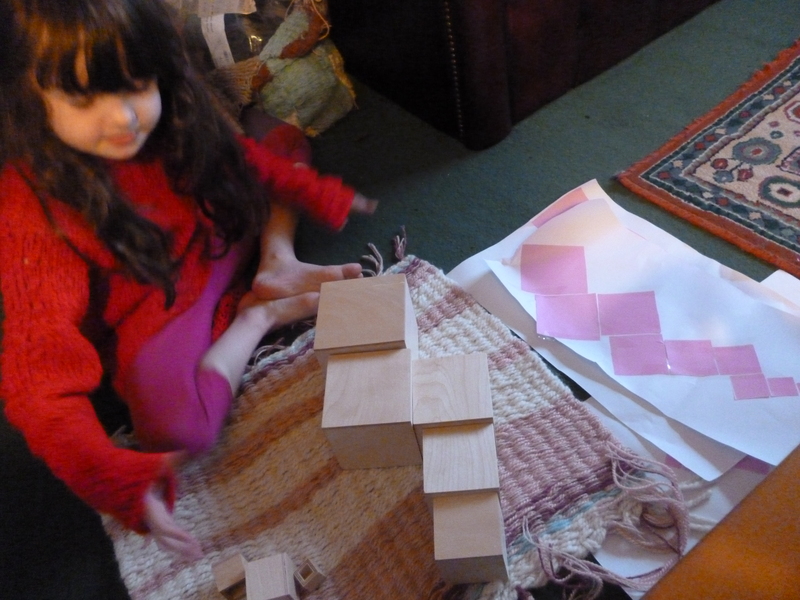 In this she is building her visual spacial awareness and learning some subtle things about size, before we start measuring the cubes. She also built the tower with the hollow parts outward and blew up and down listening to the change in sound from small to large cubes. She also loves the smell of the wood, so this is a truly multisensory piece of equipment. That leaves me with another question; how much Montessori stuff should I be making and how much do I need to buy? You see, the equipment really does have a multi-sensory element to them, and back in the day I worked with children with shortened life expectancy and with children with autism, the place of multisensory objects was very important. If I make everything out of paper, or even play-doh, what will the children lose out on? I think the balance is in buying some stuff, making some stuff and using other stuff to be similar. It’s a balance between cost in money, cost in time (and my meagre energy levels) and cost in educational experience for the children. I made the hexagon pieces for Heleyna. Basically a large hexagon and then the triangle pieces that make the hexagon. The real thing is demonstrated HERE. With the paper/card version Heleyna was able to make the shapes and understood the words triangle, equilateral triangle or as we called it “EEEK a lateral triangle!” It’s a memory aid, honest. She made the rhombus and trapezium and used the correct words. Then she took the attribute blocks we usually use for her Critical Thinking work and used the equilateral triangles there to make a hexagon and to compare sizes of triangle. Life and finding real answers; death and self service. As the next 40 Days for Life approaches I’ve been thinking about how the culture of Life can change so many things. The record of 40 Days for Life is really impressive. Prayer, fasting, counselling and care have saved many babies from the industry and saved their parents the follow on horror that comes for so many after abortion. In America 24 abortion mills have closed. 40 Days has produced some astonishing conversions along the way. Abby Johnson is perhaps one of the most well known but she is one of many abortion workers who have turned away and are now shining a light on the utter vileness of what goes on in the industry. I think Dr. Bernard Nathanson must be praying very hard for us all still here. All that is wonderful, but I think more fruit will come from this stance on Life. Once we start to show our horrible culture the importance of life, of every human life, no matter how small or how broken, a whole lot of things will change and they will change in science and medicine. Once we accept that every human being is a person with inherent rights and dignity we will stop looking at ways to kill off those too young and those too sick and those too old, and we’ll find ways to care for, heal and save lives. Money will go into funding real research to find answers for those who are suffering so much. Embryonic stem cell research will be shelved and the much more productive and promising research with umbilical and adult stem cells will reap the benefit making therapies happen much sooner. Instead of pulling back from research into Alzheimer’s, drug companies will put more effort into finding ways to help those patients because each life is precious. No one will be telling those of us with ME that Ampligen or Rituxin is too expensive, because all the money we spend on killing people will be there to give people life. There will be no more letters from insurance companies telling people in Oregon that their treatment wont be paid for, but if they take the assisted suicide route that will be. It will not happen because the “obligation to die” dressed up as “right” to die rhetoric will be seen for what it is. Instead of looking for new screening techniques to dx Downs Syndrome and get as many of those children killed off as possible (one spokesperson apparently talked about eradicating Downs, not through treatment but by killing the babies), there will be research into how to best treat and care for people with Downs. No more stories of parents being told their child must wait for heart surgery because the child should never have been born. Once we stop deciding that some people aren’t people and other people aren’t worthy people, we’ll all be better people. 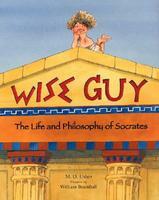 Books that are true and true books. What is a true story? It isn’t just a story about something that happened. A true story should be more than that; deeper and more solid. Truth isn’t simply a set of facts, it includes what those facts mean and how they relate to natural law. As persons we are made to resonate with the natural law. In some ways our observance of the laws of nature are like a shadow, a type, of how we observe natural law. The most common metaphorical example of this is to say that a person who decides he wants to break the law of gravity and jumps off a building, will demonstrate the law of gravity, rather than break it. The law of gravity will break him. As it is with the laws of nature, so it is with natural law. When we decide we can break the natural law, to do as we want, we so often demonstrate it, in how it breaks us. We don’t need to have studied philosophy or read the Summa to understand the basics of natural law. The law is written on our hearts (CCC 1954+), that i,s we can know it through reason and I suppose we could even argue we know it instinctively. That’s not to say we all automatically know the whole Truth and the complete moral law; no, that we have to seek in order to find. We are promised that should we seek it, we will find it. The Church has always taught that we must follow our conscience and that we are obliged to form that conscience. As parents we are the primary educators of our children, so we are to help them form their consciences. Stories can help us do that. Some stories stick with us. The great old fairy stories that the Grimm brothers have made famous, are steeped in old pagan memories but also in basic human truths. We see that beauty is in itself something of goodness, and that it is more than skin deep (Beauty and the Beast). We see sacrifice, love, courage, honour played out against, fear, envy, hatred and murderous intent, without being preached at in any way. A true story is much more than a factual story. True stories resonate with us, because we want truth really. 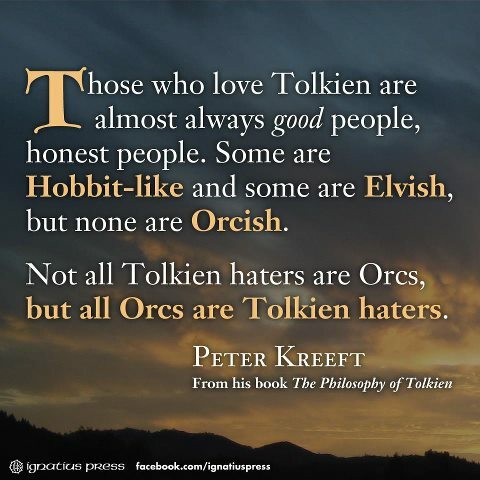 The reason that Tolkien’s books remain so popular are because they have that truth. The little men show courage and strength that speaks to us in a way that even Gandalf’s great battle with evil and consequent “whiteness” doesn’t. I can’t help believing that Tolkien and Lewis will be read long after Rowling and the agenda driven Pullman are forgotten. One of the most popular kinds of books and TV programmes are based around murder. So many people have read of Sherlock Holmes, Poirot and Miss Marple, the wonderful Peter Wimsey, Dr. Thorndyke and the ever beloved Fr. Brown. Some the attraction is undoubtedly in the “who dunnit” solve the puzzle, following the clues, but the root of the enjoyment comes from the moral certainty that murder is wrong, no matter how much the victim may have seemed to deserve it. Murder stories have almost the same sense as the traditional fairy stories were good and evil are clearly seen, even when the characters are flawed and complicated, like real people. I am aware that there have been attempts by writers (for TV mainly I think) to turn the natural law on it’s head and have stories that make out murder to be fine, but I not aware they have been popular. That’s a sign of hope, that even in our post-Christian, post-traditonal-pagan (bring back old paganism!) culture we haven’t completely lost touch with ourselves.